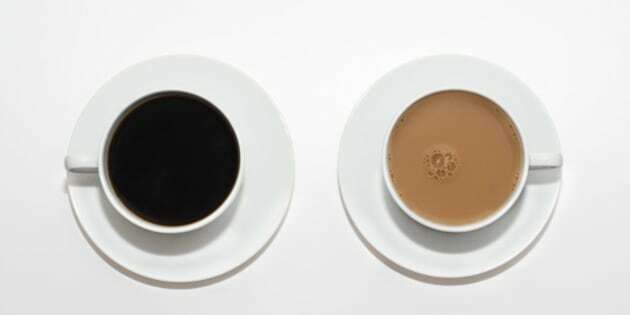 Your morning cup of coffee or tea may do more than just perk you up. A new study finds that the caffeinated beverages may protect your liver from disease. In a study announced last week, an international team of researchers led by Duke University School of Medicine in North Carolina (NAFLD) suggests that increased caffeine intake may reduce fatty liver in people with non-alcoholic fatty liver disease. Worldwide, 70 per cent of people diagnosed with diabetes and obesity have NAFLD, the major cause of fatty liver not due to excessive alcohol consumption, the researchers said. Currently, there are no effective treatments for NAFLD except diet and exercise. Using cell culture and mouse models, head researcher Dr. Paul Yen and his team found that caffeine stimulated the metabolization of lipids stored in liver cells and decreased the fatty liver of mice that were fed a high-fat diet. According to the findings, researchers said that the equivalent caffeine intake of four cups of coffee or tea a day may be beneficial in preventing and protecting against the progression of NAFLD in humans. The findings appear online and will be published in the September issue of the journal Hepatology. "This is the first detailed study of the mechanism for caffeine action on lipids in liver and the results are very interesting," Yen said. "Coffee and tea are so commonly consumed and the notion that they may be therapeutic, especially since they have a reputation for being ‘bad' for health, is especially enlightening." Prior research has already associated caffeine with decreased risk of liver disease and reduced fibrosis in patients with chronic liver disease. Last year, a separate study published in the same journal found that drinking coffee reduces the risk of advanced fibrosis in those NAFLD.